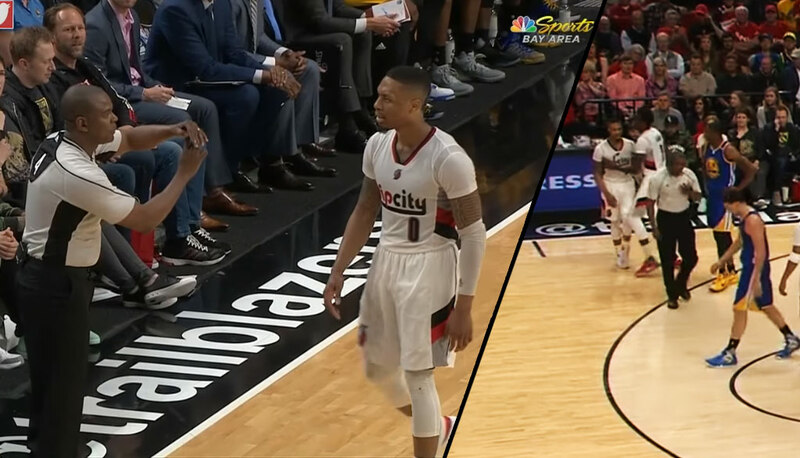 What Did Damian Lillard Say To The Ref To Get A Tech? Was it the body contact? I wasn’t there and I’m awful at lip reading so I’m not sure what Damian Lillard said to referee Sean Wright to warrant a tech but I know Dame was frustrated after watching the Warriors drop a historic 45 on his team in the first quarter and then getting popped in the face without getting a call. I’m not saying he didn’t say those things but I can say he’s a class act and if his Custer’s Last Stand performance wasn’t worthy of your respect, the way he carried himself after the loss and sweep should.